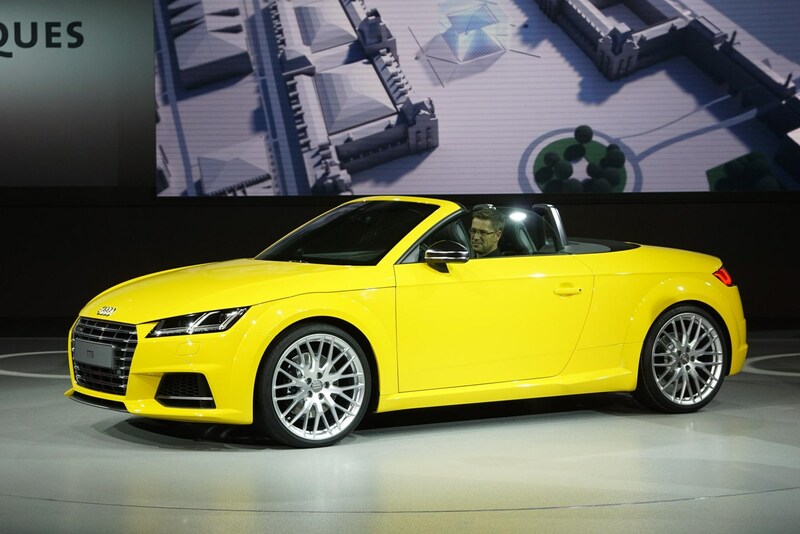 By far the biggest news on the Audi stand is the all-new TT Roadster - the convertible version of the firm's popular sports car. The model range includes three models - a diesel with 182bhp, a petrol with 227bhp and a high-performance 306bhp petrol called the TTS. All use 2-litre engines. You've also got a choice of manual or automatic gearboxes, the latter being the excellent optional S Tronic transmission. There's a trio of trim levels - Sport, S Line and then the TTS at the top of the tree. Standard kit includes the 12.3-inch screen, air conditioning, leather/alcantara seats and Audi's Drive Select system which allows you to set up the car's characteristics to your individual tastes. Prices start at £31,995. For the full low-down, click here for our Audi TT Roadster guide. 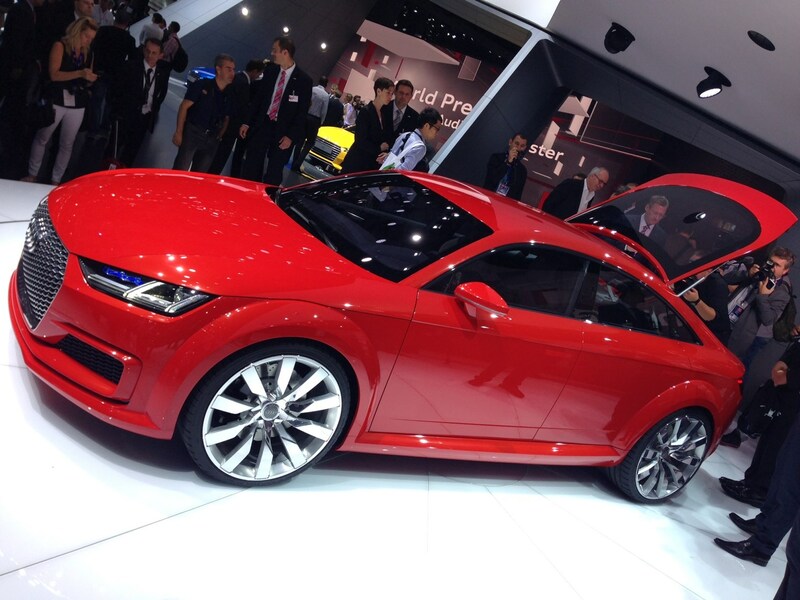 Also on the Audi stand was the firm's answer to the Mercedes CLA - the TT Shooting Brake. While officially still a concept, we reckon it's highly likely we'll see a production version of this car soon. Effectively it's a four-door version of the TT Coupe. It has some typical motor show styling and a powerful petrol engine, but expect the TT's range of engines, gearboxes and chassis set-ups to transfer over to the new model when it makes production.